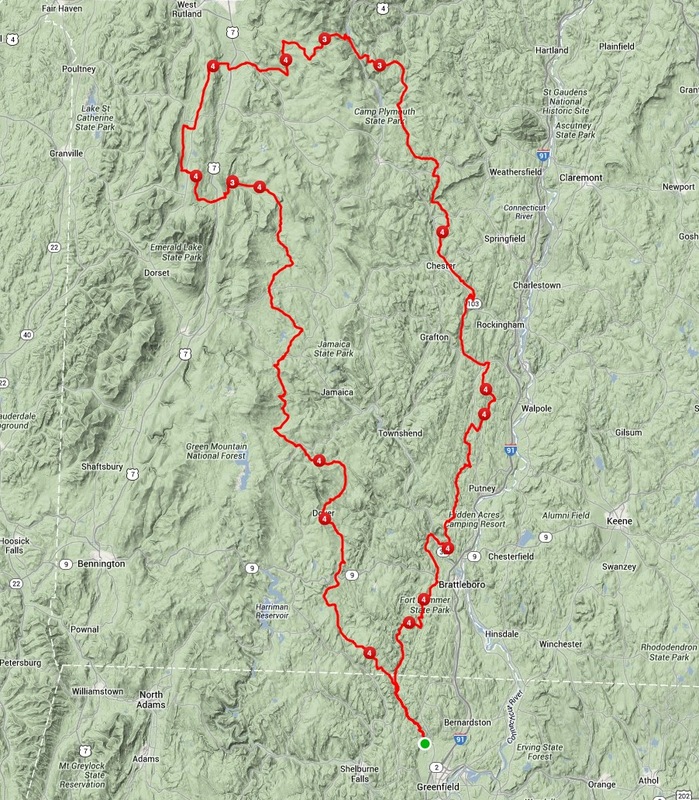 Imagine riding the number of miles a slightly above average New England club rider logs in a week ALL IN ONE DAY! How about getting weeks of climbing done in a day (12 cat 4 climbs and three cat 3’s)? On mostly dirt roads? A good deal of which you do through the night? Chris Pearson and Gary Sclar rolling through Vermont. Well, that’s just what MRC members Chris Pearson and Gary Sclar did when they completed the 2013 Green Mountain Double Century on June 16th. 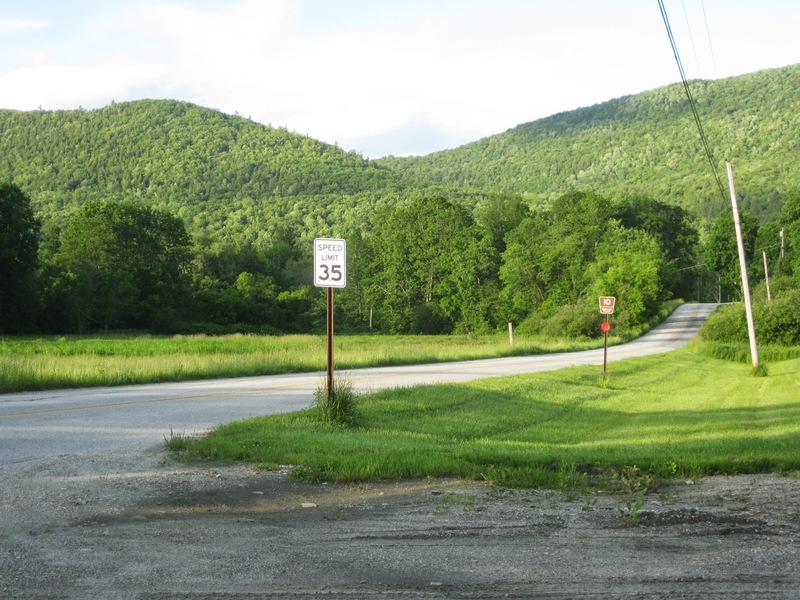 Starting out at 4 a.m. a little northwest of Greenfield, VT and then heading on a counterclockwise loop that reaches northward nearly all the way to Rutland before it turns south and passes through the Green Mountain National Forest, the route boasted amazing scenery combined with road surfaces that ranged from smooth pavement to completely washed out “roads” that at times looked more like riverbed. On a ride this long, the plan was not, “where can I burn a match?” but “don’t burn ANY matches,” – even though the conditions demanded some extreme efforts. One climb they faced hit rose up from 15-18% at spots. As it turns out, a handful of wrong turns along the way were all that stood between Gary and Chris beating the time they turned in last year. 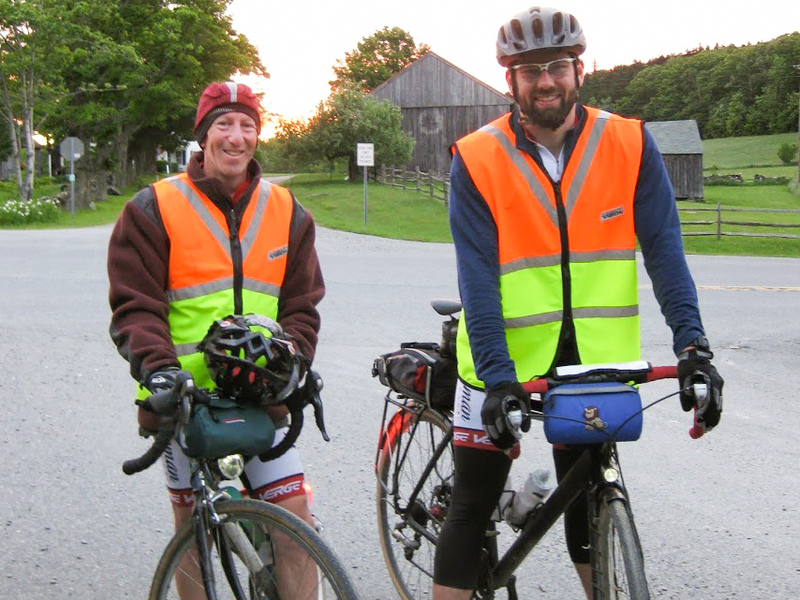 The GMDC is a “self-supported” ride, which means you need your own road crew to pace along with you in a car, carrying spare tires/tubes/bikes, extra food and water. This role was fulfilled by Gary’s wife Danya and Chris’ fiancée, Amy. 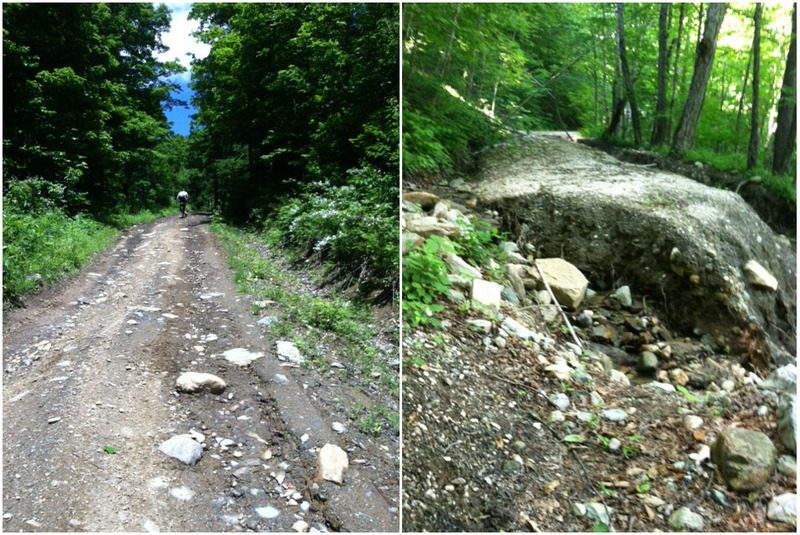 80% of the route was described as “dirt roads” which varied from the hard pack “almost pavement” you see in the photo above to the rock strewn mud and dirt (below left) or the absolute washout on Old CCC Road (below right). You call that a “road”?? After riding all night long with only the oval of pavement illuminated by their lights to guide them, they rolled back into Greenfield having logged 210 miles andover 20,ooo feet of climbing. Major kudos to you both! You can read each of their ride reports in full in the MRC forum. Here’s Chris’ Picasa gallery with many more photos.